I've been thinking a lot about the people of Moses lately. 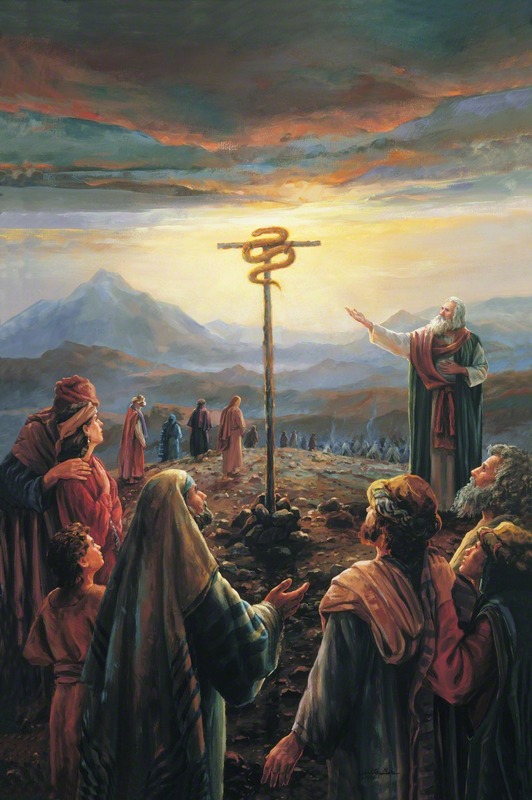 When a plague swept their people, Moses put a serpent of brass upon a pole outside of their tents, and all the people had to do was simply look, and they would be saved. To "Look, and Live." Many did not look because of the simpleness of the way. They decided the answer could never be that simple. I've been taught that the first principle of the Gospel is: Faith in the Lord Jesus Christ. I've always considered my faith as something I gained at a young age. It was something nebulous that became concrete to me as a teenager. I don't know that I've given much thought to the simple idea of believing in Jesus Christ since. I don't know that I've ever really thought about intentionally believing more in Jesus Christ because, I already know it, ya know? There are many Christlike attributes I've sought to cultivate: humility, for one. Or habits that will bring me closer to Him: daily scripture reading, for example. But simply believing in Jesus Christ, simply deciding, being aware of places where I, by my own accord, was holding back, stretching my mental capacities and noticing more places I could believe, deciding to believe in Jesus Christ a little more? I don't know that I had ever made that decision. For the people of Moses, it was simply a choice. A choice to believe. They were given the option: either you can believe or not, it's up to you. We've been doing a scripture reading challenge with my family, reading 7 pages a day until the end of the year. I love reading "fast" like this because it gives me so much perspective, seeing the whole picture. One lesson that's been reiterated to me over and over again as I've read is the undeniable power of God. The power of faith. The brothers of Nephi being struck down by the power of God. Alma and his brethren as powerful missionaries. The coming of Christ to the Nephites. When Christ comes again upon the earth, no one will be able to deny the power that is within him. It is completely different, and more powerful than any power you've ever witnessed on this earth, be it power from position, physical strength, or power of will. I recognize that if I decide to believe more I have access to that power. And while God can use that power on earth for His intended purposes (such as with missionary work, serving others, and teaching my children), it is also a huge source of strength for me, personally. To rise above the fray during hard times. Perspective when life is challenging. An awareness of the blessings in my life, and gratitude for them. It seems so simple. To simply search out doubt in your mind, and mentally remove it and instead look heavenward. It is as if religion is a mental exercise, and you, the controller. But the amazing thing I have found, as I've tried to "Look and Live" is, you quickly realize that while you do control your thoughts, the source to which you are looking is real, and outside of yourself, and he endows you with power you cannot deny. God is real. And Jesus Christ is his Son. It's not complex, and it's simply all we have to do. It is by exercising the first principle of the Gospel that we are able to do all of the rest: repent of our sins, be baptized (and renew our covenants), live worthy of the Holy Ghost, and endure to the end. As I've studied and sought to become more full of faith, several things have stuck out to me. This quote, from Sister Linda Reeves, left a big impact. "I do not know why we have the many trials that we have, but it is my personal feeling that the reward is so great, so eternal and everlasting, so joyful and beyond our understanding that in that day of reward, we may feel to say to our merciful, loving Father, “Was that all that was required?” I believe that if we could daily remember and recognize the depth of that love our Heavenly Father and our Savior have for us, we would be willing to do anything to be back in Their presence again, surrounded by Their love eternally. What will it matter, dear sisters, what we suffered here if, in the end, those trials are the very things which qualify us for eternal life and exaltation in the kingdom of God with our Father and Savior?" Her question, "was that all that was required?" reminded of the children of Israel, and the simple faith that was "all that was required" of them. Our choice is simple, too. The second talk I've listened to over and over again. Elder Anderson's talk on "Faith is Not by Chance, but by Choice" has been my blueprint for choosing faith, and teaches me that the Lord has a different standard: and it's a measurement of how much you believe. 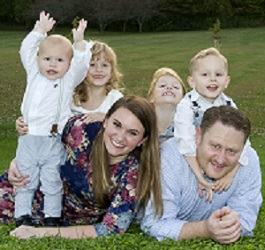 The story of the young man who lost most of his family in an airplane crash is so poignant. That young man's steadiness, acceptance, and understanding comes from his faith in Jesus Christ, and gives him a power that is undeniable. I am making an effort to believe more. I'm not going to say my faith is "adequate" as I have in the past, and humbly recognize there is always more room to believe. I know Jesus Christ is real, not only through a decision of faith in my mind, but a feeling in my heart, and a power that provides Peace beyond "all understanding."